Naval Station Rota, Spain, the "Gateway to the Mediterranean", is strategically located near the Straits of Gibraltar near the Southern Spain city of Cadiz. NavSta Rota is the largest American military community in Spain and houses more than 3,000 U.S. Navy sailors, Marines, and their families. There are also small U.S. Army and U.S. Air Force contingents on the base. 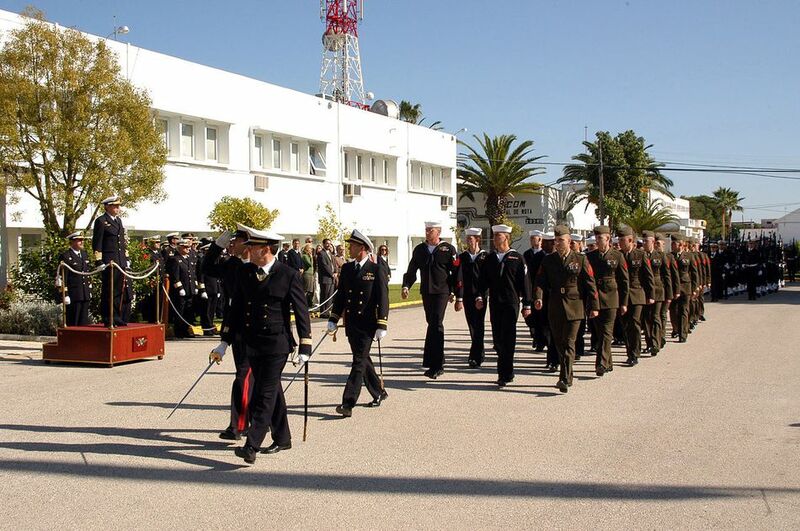 The Commander, Naval Activities in Spain is headquartered in Rota and serves as the area coordinator for all U.S. Naval Activities ashore in Spain and Portugal as well as the commander of the Rota Naval Station. Naval Station Rota provides support for U.S. and NATO ships, supports the safe and efficient movement of U.S. Navy and U.S. Air Force flights and passengers and provides cargo, fuel, and ammunition to units in the region. The Naval Station is the only base in the Mediterranean capable of supporting Amphibious Readiness Groups with secure, pier side maintenance and backload facilities. Basé Naval de Rota is owned by the Spanish and commanded by a Spanish admiral. The United States has tenant commands located at Rota and have been there since the 1950s. The U.S. and Spanish navies conduct many bi-lateral training missions and share many facilities under the guidance of the Agreement on Defense Cooperation (ADC). The base is the headquarters for Commander, U.S. Naval Activities Spain, as well as a primary gateway for Air Mobility Command flights into Europe. Generally, families are required to obtain temporary accommodations upon arrival. Temporary accommodations are available at the Navy Lodge, Gateway Inns, and Suites or approved commercial facilities. Assignment to family housing on base is mandatory for all incoming officer and enlisted personnel on accompanied tours, provided there are homes available for you based on your rank and family size. If there is no family housing available for you, you can go on a waiting list and find a home in the local community. Military personnel on unaccompanied orders in ranks E3 and below are required to live in the bachelor housing permanent party barracks upon arrival to Rota. Education from kindergarten through 12th grade is provided for eligible family members at NS Rota at the David Glasgow Farragut (DGF) Elementary and High Schools, located in the housing area on base. Kindergartners must be five years old and 1st graders must be six years old by September 1st. The NAVSTA Rota Child and Youth Programs (CYP) offers childcare for children ages 6 weeks to 18 years of age. The U.S. Naval Hospital in Rota provides medical and dental care for all military personnel, U.S. civil service personnel and their families in the Rota area. You are likely to arrive by airplane at one of two main airports, Naval Station Rota, Air Terminal or commercial airport Jerez de la Frontera (approximately 25 minutes form Rota). Rota offers many opportunities for career advancement in a beautiful part of the world where travel throughout Europe is easy using Military Airlift Command (MAC flights), public transit or rental vehicles. Enjoying the sights throughout Portugal, the Mediterranean coastline of Spain, Gibraltar, and the mountainous regions/ski resorts are a few hours drive from the Rota Naval Station. The weather is similar to Southern California with mild winters and moderate summer temperatures.